Tested in IBJJF Official competitions by Leandro Lo, Yago de Souza and Rodolfo Vieira, the Venum Elite BJJ Gi offers a perfect fit, thanks to specific and reinforced stitching. Adjusted, this Venum Gi is made for competition: no excess material and therefore no easy grip. 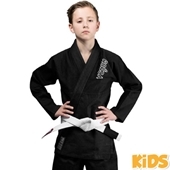 Built with a hardwearing 500gsm, the Venum Elite BJJ Gi is extremely durable and though to follow you training after training, competitions after competitions, without losing its performances. Pre-shrunk, thisVenum BJJ Gi will remain at its present size. The jacket features a sublimated neck inner with polyester fabric for an unparalleled comfort and a better moisture management. The pants, like the collar, benefit from a Rip-stop fabric to make them resistant to tearing and ripping. All the stress point has been reinforced for a durable and high yield use. Join the Venum Elite Team knowing you train with the premium BJJfabrics and technologies. *Quick dry, hardwearing and pre-shrunk cotton for an enhanced durability. *Pants & collar: Rip-stop for an unrestricted lifespan. *Pants logos: Woven patches & embroideries. 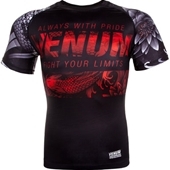 *Sublimated neck inner for a superior comfort.